To be a railfan is to be a member of an esoteric hobby, one rare enough that explaining it to the outside world sometimes seems the price of membership. Yes, I like trains. No, not toy trains or models. (Well, sometimes I dabble, but that’s besides the point.) Full-size ones, real ones. No, I don’t work for the railroad, I just enjoy it… And so on. You’ve probably had a similar conversation more times than you can count. It is amazing how much the hobby is subdivided. There are people whose interests focus on freight trains, or trains they can ride, or even steam locomotives. In some ways this makes sense, for finding something to concentrate interests on is a way to make the hobby personal. It’s also a way to carve out identity, much like the bands, authors, or sports teams that a person supports. Sometimes, though, this becomes more than a focus or a personal expression, and it becomes exclusive. An interest becomes so all-consuming that anything else seems less important, less valuable. The best example of this is the weird mutual derision that fans of steam locomotives and diesel locomotives often hold for each other, each claiming the other side’s obsession as stupid, childish, wasteful. Another example is the tendency of hobbyists in the U.S. to not just ignore but actively put down railway operations in other countries as boring or lacking merit. Holding such an attitude is a shame, not just because it creates ill feeling and divisions among those in the hobby, but because it is a massive personal limitation. People like Frank Barry, Stan Kistler, Keith Ardinger, and many others did well when they ignored such silly prejudices and traveled to Mexico in the 1960s and 1970s, photographing surviving steam and rare first-generation diesels. In this century, many have been fortunate enough to travel to China and witness the end of regular main line steam operations. The photographs brought back by these railfans are now widely treasured. Even if they had only gone to see these sights, even if their cameras had broken, or their film lost in their luggage, their experiences would have been worth the journey. There are at least two distinct advantages to throwing out your old ideas about the hobby. First, there is the joy of discovering something new. Over time, our favorite topics can drift from familiar to old hat and right on to boring. Broaden your interests and you’ll find there’s almost always something different to learn about. For example, when I first became interested in transit operations, I knew little about them. 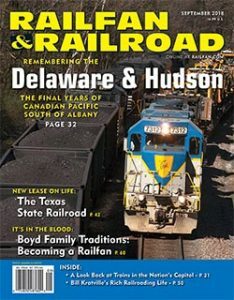 I was surprised and delighted to learn about rare freight moves, shared trackways, and old-time operating practices that survived into the present day. The mundane became sublime. The unknown often sparks the joy of curiosity. Flowing from this is another big advantage — the ability to trade off interests. Bored of your narrow-gauge obsession? How about Indian broad gauge? Getting a little worn down watching the same widecabs hauling the same stacks and autoracks? 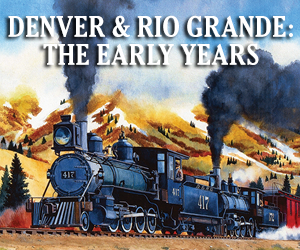 How about railfanning the 1860s or the 1920s through old books, maps, and archival photos? A wider interest means the ability to keep things fresh and new.